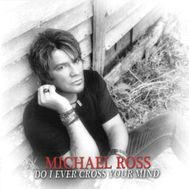 Released for the first time in Europe, this is the debut Michael Ross (Gypsy Rose frontman) solo album recorded between 1998 and 2011 in different sessions. Originally self-released on a tiny press of 100 CD-r copies, this is the first time it gets a pro-CD treatment. "Do I ever cross your mind" is a more intimate and introspective album that will surely please fans of Bon Jovi and Journey, rather than the more Sleazy & Glammy oriented Rock of Gypsy Rose. Includes lyrics and comments to each song by Mr. Ross himself and one bonus track from 2017. File Under: Melodic Rock, AOR, Blues/Country Rock. 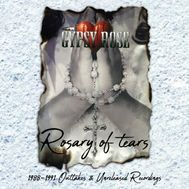 Collection of Gypsy Rose demos & outtakes most of them recorded in 1991, after their debut album "Prey". These unreleased songs, were supposed to be on the second album that never happened. Finally they are available to the fans for the first time ever! Carefully remastered and presented in a 20-page booklet with band biography (part 2), lyrics, rare photos and song-by-song notes written by Mr. Ross himself, plus short notes of drummer Steve Thomas, ex-guitarist Bryan Joyce and photographer Mark Weiss. This is probably the most anticipated Hard Rock archive collection release of 2018! File Under: Melodic Hard Rock. For fans of: Danger Danger, Hardline, Firehouse, Skid Row. 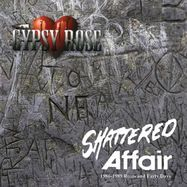 Gypsy Rose were a Canadian Hard Rock band formed in the late 80s that caught the attention of Gene Simmons on his newfound label Simmons Records that was operating through RCA. In 1990 the band had released their highly acclaimed debut album "Prey" (produced by Mr. Simmons himself) and they quickly became a strong name in the label so much that many would place high hopes in the band thinking they could become the next Danger Danger or even the next Skid Row. Eventually in 1991 things started to fall apart and the band didn't release the second album splitting up shortly after. The reason for a split up at this time in Rock history is a cliche but so real for the Hard Rock/Hair bands of the era: Band tension and lack of support from the label due to the change of the music climate (Grunge was in). You've heard this story a million times before and most probably lived it. But this melodic brand of Hard Rock survived crawling through the desolate mid to late 90's until it exploded again in the new millennium in a more underground and sectarian spirit that makes possible GYPSY ROSE to be back again touring and have released all these rare tracks on physical digital format (yes, good old CD)! PROGAOR (in collaboration with Michael Ross and longtime fan Mikael Svensson) proudly presents a compilation of early Gypsy Rose demos plus the previous Michael Ross AOR projects Shattered Heart and Secret Affair. Presented in a 16-page booklet that includes band biography (part 1), lyrics, rare photos and song commentaries from Mr. Ross himself, these seminal recordings were carefully remastered from the old tapes. The wait is over, finally the vaults were open, an absolute delight to all the fans! File Under: Hard Rock, Sleaze Rock, Melodic Rock, AOR. With their chilly white faces and hair, originally attacked the heavy rock scene from the icy heartlands of Pennsylvania. The core of the group, singer DALE LEE, guitarist KEVIN DEVER and the drummer only known as ANIMAL, formed a band in Erie, Pennsylvania called SPEEDQUEEN. With this band, they toured the East Coast and Canada. After a considerable number of performances, the band members decided they wanted to be more visual and theatrical so as to give full value to their audience. Hence, the SNOW MEN were born, with a full blown stage production including state of the arts special effects and the Snowmen's outlandish makeup and costuming. 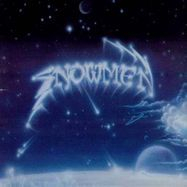 The Snowmen came out for their first official gig on Christmas 1977 at the Roadhouse in Jamestown, New York. After making their presence felt on the East Coast, the Snowmen moved to sunny California. That's not to say that they've forsaken their original fans, in fact the Snowmen have toured and continue to tour extensively. They have played clubs and concert halls in New York, California, Texas, Nevada, Arizona, West Virginia, Pennsylvania, Ohio and Canada. They are currently preparing to embark on a nationwide tour to promote not only themselves, but a good cause as well. The Snowmen are turning all the profits over to the YMCA in each local area they play. The Snowmen have also been active in the recording studio. The Snowmen's self-titled debut LP on ICE RECORDS is being followed-up by the single "TAKE A BETTER LOOK AT YOURSELF" b/w "ONE DAY AT A TIME". Both tracks will also be featured on the group's follow up LP, as yet untitled. Whether it's recording their stage shows or TV appearances, such as the NBC NEWS segment "SO YOU WANT TO BE A ROCK'N ROLL STAR" which featured them, the group always strives to entertain to the fullest and to bring maximum enjoyment to their audience. File under: Hard Rock, Melodic Rock. For fans of: Loverboy, Night Ranger, Autograph and Starz. Belgian obscure Melodic Hard Rock band that released back in 1998 this album on CD-r sold only at gigs, Runaway includes two Shannah members (reissued by Blood and Iron and Lost Realm back in 2016). Frank Deroubaix, apart from Shannah was years before on Axel an 80's Heavy Metal band from the Belgian underground. Runaway will finally see their debut album released properly remastered by Frank himself and we promise it will appeal to all connoisseurs of european styled AORish Hard Rock. As guitar player Frank Deroubaix was looking for a new “Shannah” singer, in May 1995 he met Dave Varlet (leadvocals / bass) who was looking for a guitar player. That was most convenient. Almost immediately Dave and Frank started writing songs together and because of their mutual passion for Melodic Hard Rock and A.O.R. it was clear that was the style of music they wanted to pursue. In September ‘95 they were asked to perform a benefit concert in October so they put together an occasional 5-piece band under a new name “Runaway”. Alain De Kegel (keyboard player from Shannah), Jo De Boeck (drums) and Nathalie Renders (backing vocals) completed the band. With hardly a month of rehearsing their first performance was a great success and soon new gigs were booked so they decided to continue “Runaway”. More songs were written and demos were recorded but the line-up was not stable yet. Nathalie and Jo left and by April ‘96 Wim Van Kerkhove joined as the new drummer so “Runaway” continued as a 4-piece band. After a lot of gigs in ’96 to try out the new material 3 songs are recorded at D.K. studios (Destelbergen – Belgium) in February ’97. These songs are released as a self-produced demo called “Act Of Romance”. Lots of electric and acoustic gigs followed and a few festivals in the summer of ’97. In September ’97 the band returned to D.K. studios to record 10 songs for their first cd and to shop for a record deal to release it. Tired of waiting for record companies’ interest, they released their self-produced debut-album independent in 1998 with a number of excellent reviews as a result. Unfortunately not much had happened since the release and some members start losing faith in Runaway. By January ’99 Dave decides to concentrate on the vocals, musicians come and go, original drummer Jo De Boeck returns to the fold but Frank had a bad feeling about all these changes, it was a different band. In May ‘99 Frank announces he will leave the band, Dave continues with a different line-up but that version of Runaway died a quiet death within a few months. During the following years everybody did join different bands, Alain De Kegel (Beyond The Labyrinth / WACO), Dave Varlet (Beyond The Labyrinth / Shellcase) and Jo De Boeck also joined “Beyond The Labyrinth” but at a different time as the others. Frank Deroubaix formed the band “2nd Skin” together with Wim Van Kerkhove and they released an album in the same style of Runaway in 2005. For fans of: Tyketto, Boulevard, Emergency (Hol), Casanova. BRIAR were one of the many names that popped up in the wake of the 80's in the fervent NWOBHM movement in the U.K. After a debut 7" in the Happy Face label (Diamond Head, Cryer, etc.) in 1982 and an album three years later on the legendary Heavy Metal Records (Quartz, Shiva, Witchfinder General, Wrathchild, etc. 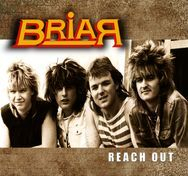 ), Briar established themselves as one of the most prominent names in the British Melodic Metal/Hard Rock scene of the 80's, along with emerging or already established acts like the Tygers of Pan Tang, Tokyo Blade, Black Rose and Tobruk. This album is basically the project for the 1988 album that the band hoped to be released by CBS/Columbia, when they signed with the major label. The management and label choice at the time was to send the band to record cover versions so the "Crown of Thorns" album was born as a marketing strategy for major radio airplay and cause an impact in the mainstream Pop/Rock scene. So the band's plan to get released the "Reach Out" album was suspended. The band never liked the idea of having their best songs written to date put on hold while a covers album was being released in several countries, but finally after 30 years, these songs will be released by PROGAOR. This is BRIAR's finest hour, the band was at the top of their game with superb songwriting skills creating a collection of 9 songs that all melodic Rock fans should have in their collection. Released for the first time on CD, this will include a detailed band history, several band pictures, song lyrics and liner notes by Dean Cook (Briar drummer). Like if wasn't enough, we also offer as bonus tracks the 1990 demo and 4 live tracks recorded in 1991 and 92. Released for the very first time on CD, this American Hard Prog Rock rare LP finally sees the light of day! 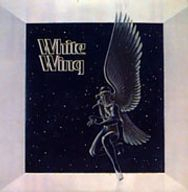 WHITE WING were the band pre-ASIA (U.S.), formed by the multi-talented Mike Coates. This reissue was carefully remastered by himself and will fill the gap in many 70s Prog and Hard Rock collections. 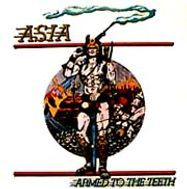 Released originally in 1976, we can already see the band into the musical territory that ASIA explored specially on the first album. Features a 12-page booklet with archive photos, lyrics and band history. Lead vocalist/bassist Mike English and I had long been members of a Rapid City art rock band called WhiteWing (1968-1976) and had recorded an eponymously titled album with a Minneapolis- based record company called ASI in 1975. ASI released a single entitled, "Hansa," off that album, which received spotty national and international airplay and made the BILLBOARD Top Singles Picks list. Album sales were weak, however, because distribution to the hundreds of small Midwestern towns we typically toured were very poor and difficult to coordinate with airplay. ASI also chose rather foolishly to promote us as "the next Moody Blues," when, in fact, we were much heavier, much to the surprise of many promoters, booking agents, and club owners. After considerable album promotion touring and countless radio interviews, ASI chose not to pick up the contract option for our second album (which was fully composed and in demo form) primarily because they were in the midst of a belt-tightening stage after the mid-Seventies recession. However, company president, Dan Holmes (left), who had produced our album, strongly encouraged me to release the WhiteWing rhythm section, hire guest vocalist Larry Galbraith (from another Rapid City band called FREE FLITE), and to stay in close contact with ASI for future recording projects. I took his advice and made those hard decisions, although leaving WhiteWing and my old friends was very painful and I questioned that move and my motives for many years to come. Those same ex-band members were reluctant to sell the WhiteWing name (which was a corporate holding), so Mike, Larry, manager Mike Chambers, and I set out to form a totally new band and image. After a series of auditions we landed Nebraska- based drummer John Haynes and the new line-up was complete. Larry coined the name ASIA, and, because we all loved the mystical, exotic and expansive implications, the name stuck. File under: Progressive Hard Rock, Pomp Rock. For fans of: Kansas, Styx and Yes. Out of Rapid City in South Dakota, from the ashes of the defunct band Whitewing (one very rare album much desired in Prog collectors circles), came ASIA, which recorded two independently released albums in 1979 and 1980 respectivelly. The band gained some momentum for a while, opening for major acts like Nazareth, Ted Nugent, Kiss, Molly Hatchet, etc. Unfortunatelly the demise of Asia came with the dellusion of legal battles for the name with the British Pop-AOR Asia. The band legacy these days relies mostly on their cult masterpiece "Armed to the Teeth", released in 1980. An album that predates the Epic Progressive Metal genre later pursued by bands like Warlord and Dark Quarterer, but also pleases any Pomp/AOR/Prog Rock fan. The only Asia CD release dates back from 1995 on the Wild Places label, but since the CD edition is very sought after now, we decided to team up with band leader Mike Coates and repackage again the two albums on one CD, but this time with an even bigger booklet of 32 pages, where the full band history is presented, as well as the projects pre and post Asia, rare pictures and the lyrics to both albums. Blood & Iron proudly presents the first release of our PROGAOR Series, and none better than the American Asia to celebrate it! File under: Epic Heavy Rock, Pomp Rock, Progressive Hard Rock. For fans of Rush, Styx, Uriah Heep, Captain Beyond and Warlord (U.S.).